In a signal of the importance of California's 7th Congressional district to Republicans hopes of retaining control of House of Representatives, a former major figure from the Trump administration will make a campaign stop in support of the Republican challenger. 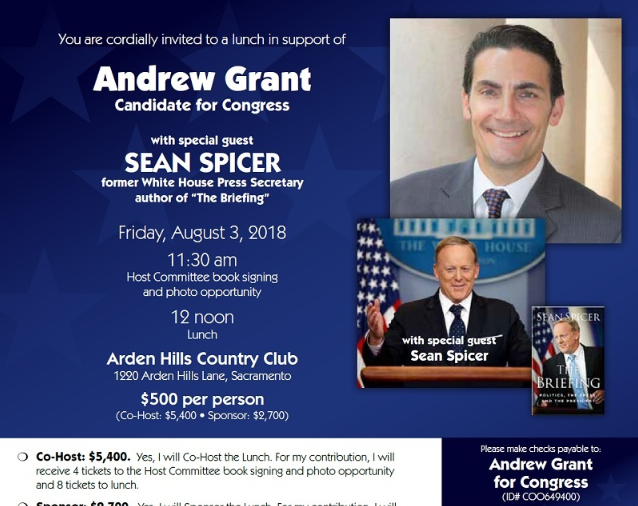 Andrew Grant, the Republican nominee challenging three-term Democratic congressman Dr. Ami Bera announced today that former Whitehouse press secretary Sean Spicer will campaign in-district on his behalf next week. Spicer will be the featured speaker at a function being held on Friday, August 3. The fundraiser will be held at Arden Hills Country Club and will include a book signing session. 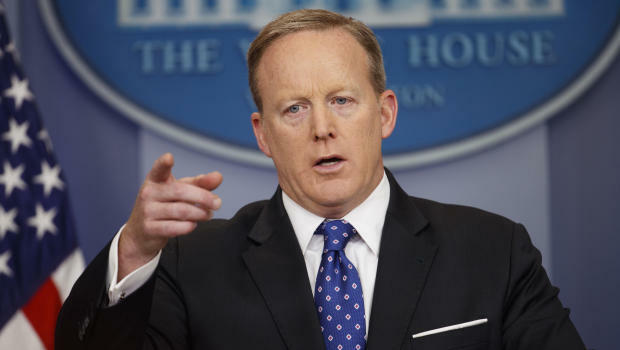 Spicer, who left the not long after being President Donald Trump's first press secretary, has recently published a book titled "The Briefing." Spicer, who had a combative with the Whitehouse press pool during his brief tenure in the early days of the Trump administration, has experienced weak sales of his book according to conservative news site Newsmax noting that it ranked in the 275th place on Amazon's bestseller list. The book has been criticized for numerous inaccuracies, as noted in a Wall Street Journal review written by ABC correspondent Jonathan Carlton who wrote "much like his tenure as press secretary: short, littered with inaccuracies and offering up one consistent theme: Mr. Trump can do no wrong." Give it up Sean. Your credibility ended when you stood up day after day repeating Trumps lies. There is no do over for that.